Big and colorful, this sturdy flip chart contains oversized illustrations that are perfect for presenting the Bible lessons to young students. Spiral Bound. Measures 20" x 15". Unit 2. 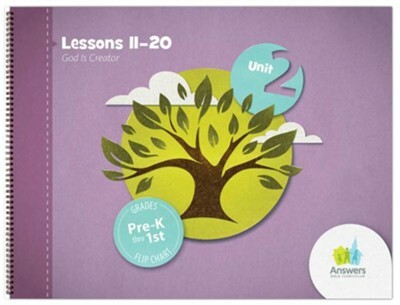 *One is included in the full Answers Bible Curriculum 2.0 Pre-K - Grade 1 Teacher Kit. 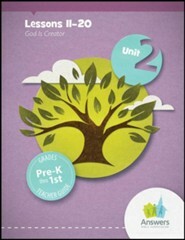 I'm the author/artist and I want to review Answers Bible Curriculum PreK-1 Unit 2 Flip Chart (2nd Edition).